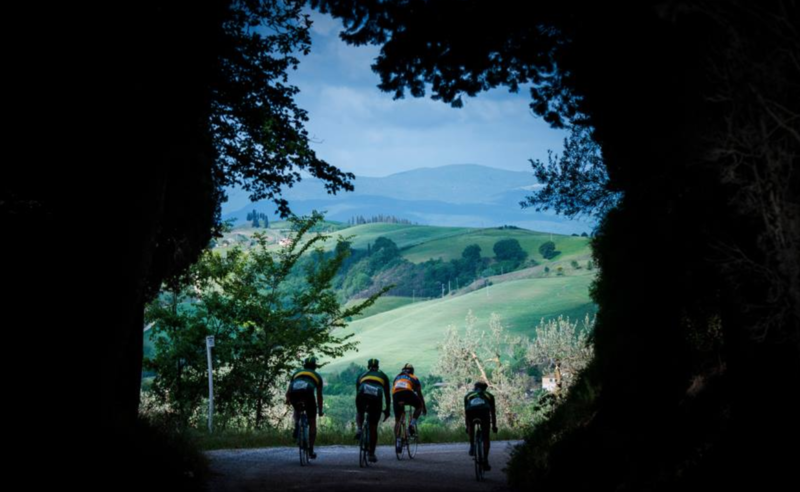 Oleg Tinkov: is this as bad as we think it is? So Saxoff is now Tinko, or something like that. Sinkoff Taxo? Sixo Tankoff? I can’t keep up. I met Oleg Tinkov once. It had taken me the best part of two hours to pass by his various layers of security: the voluptuous receptionist at the front of his corporate office; the thick-necked security guards frisking me at the metal detectors; the thin-lipped man with an earpiece, with his dead-eyed gaze as I strolled through the heavy steel doors. Not really, obviously. This story is a complete fabrication. But would anyone be surprised if it were true? It’s not that much more fanciful than some of the lurid-but-genuine commentary about cycling’s newest team owner. Mr Tinkov does present in public as (to borrow a phrase common in Australian pubs) a pretty loose unit, known for firing off drunk tweets faster than, well, a Russian downing shots at a wedding. So colourful is Mr Tinkov that there’s even been murmurings of the UCI setting up a “fit and proper” person test, presumably to prevent people like him sullying cycling’s good reputation for ethics and governance. Frankly, I think this is a bad idea. Basically, I just don’t think it’s fair to single out cycling for attracting dubious characters, when the English Premier League is allowed to exist. Then there are the practicalities: it wouldn’t necessarily be easy designing a test that catches one self-made millionaire businessman with a slightly dusty public image but lets all the others stay. I mean, he’s no shadowy oligarch. Tinkov made his millions from flipping companies and investing the huge profits in new companies, which he then flips for even huger profits. He’s had the business importing cheap electronics from Asia; the brewery with a fake back-story and risque commercials; and the dot.com credit card company with the recent shaky IPO. All very successful businesses. He’s clearly in this for the long haul. I will admit he did a pretty amazing job at alienating his star rider, Alberto Contador, by very publicly criticising him during and after this year’s Tour. In September, after his relationship with Riis and the team had seemingly broken, Oleg tweeted “Contador to join Alonso team in 2014? 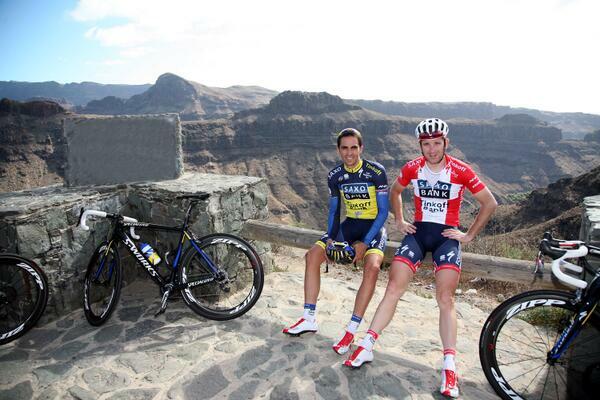 No surprise that Alberto’s sulky teenager impression was on full display at the Tinkoff-Saxo launch. Like a teenager, Alberto just has to survive one more year, and then he can go hang out with his mate Fernando Alonso and not worry about his stupid team owner and his stupid chores. But Oleg wasn’t completely wrong, Contador used to be able to attack all day, and now he just seems to get tired like everyone else. It’s definitely possibly because he’s not training hard enough. Despite all this I’m sure all of the Tinko riders will be motivated and in great spirits, knowing their new boss is following their performance so closely. Oleg has also had some issues with his new general manager and former team owner, Bjarne Riis, who was reported to have told him to take a long walk off a short pier just a few months ago. But it’s different this time, they’re mates again, and full of mutual respect. There’s no way this is just a marriage of convenience. Kind words through gritted teeth are still kind words, right? You take ‘em where you can get ‘em. Anyone who says that Riis looks set to lose his team anyway when the hammer drops on a big Danish doping enquiry, so he might as well cash in first, is just a cynic. OK, Oleg has made some off-colour sexist jokes. But it’s not as if the UCI has ever taken women’s professional cycling seriously, so who can blame him? He’s just trying to fit in with the lads! Perhaps we should be a bit concerned that Tyler Hamilton says Uncle Oleg basically told him to get on the dope in 2007. But hey, people say the same thing about Bjarne Riis, not to mention half of the guys still running teams, so that’s hardly a unique grounds for disqualification. All in all, it’s hard to see how Oleg Tinkov is any worse of a proposition as a team owner than several of his counterparts. He’s definitely more often drunk in public than most of them, but really, is being a drunken buffoon on social media worse than running a sophisticated doping operation? OK, so perhaps I wouldn’t buy a used car from him, but what could possibly go wrong? Actually, this is worse than I thought.